Recently Finn and I spent the day together and Swiss 2 Go was one of the places that we visited. 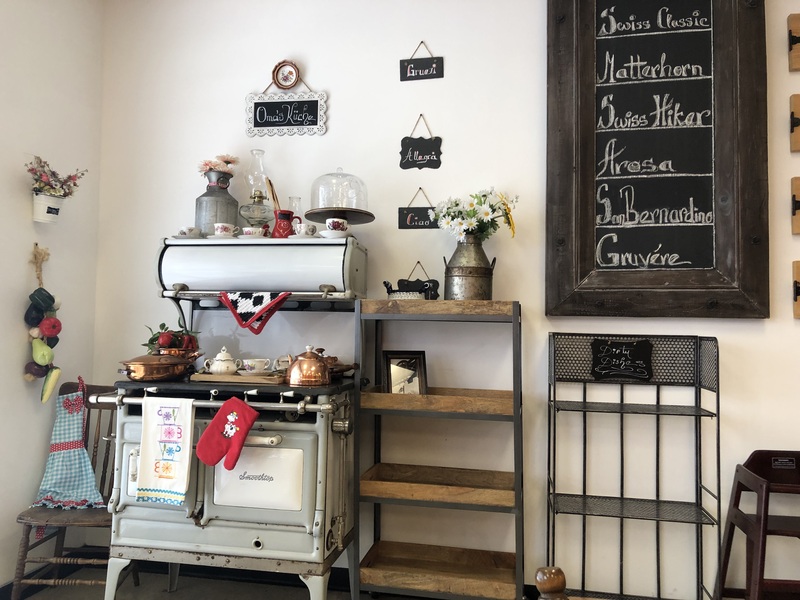 Located in North East Edmonton at 4306 118 Ave, Swiss 2 Go is a casual, Swiss-inspired cafe which offers a delicious selection of homemade soups, sandwiches, and desserts. The pretzel buns which are used for their swiss style sandwiches are made fresh daily and are probably one of the delicious buns that I have ever had. The sandwich that Finn and I had was the Swiss Classic and we both loved it. I wish that I had another picture to show you, but 3-year-olds aren’t always cooperative when it comes to waiting for their mom to take a good picture. Also, hangry 3-year-olds are scary. 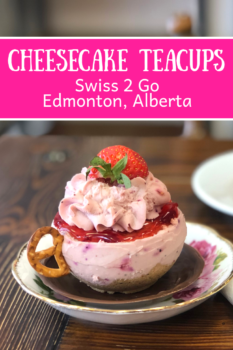 Swiss 2 Go is also most recently known for there Cheesecake Teacups, and it’s obvious why. They are rich and flavourful all in the best ways and include the chocolate made plate too. 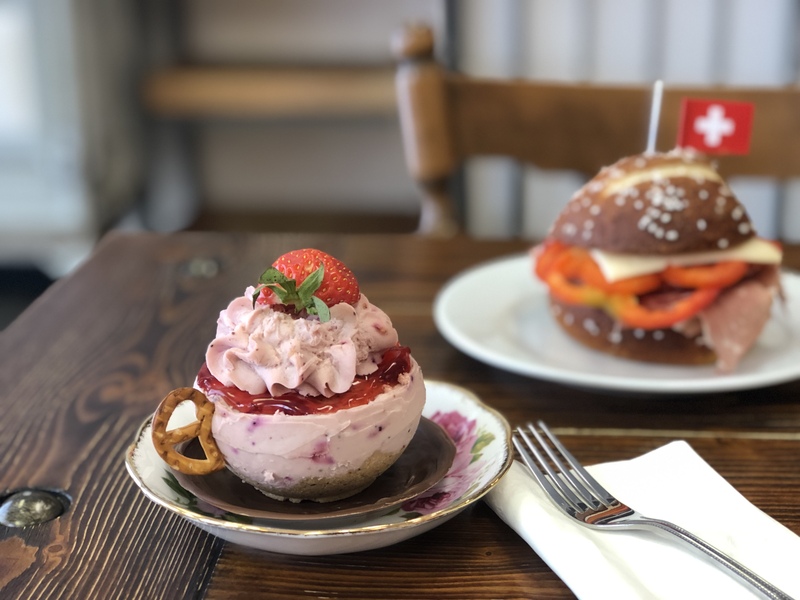 We choose the Strawberry Cheesecake however they also offer several different kinds which change often – these include double brownies, tiramisu, gingerbread sugar, peanut butter + chocolate and many more. Whether it’s lunch or dinner that you’re looking for Swiss 2 Go is definitely a place that you have to. There are several tables to sit to enjoy your meal, or you can get it to go. 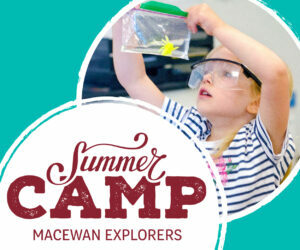 They also offer catering and all that information can be found at swiss2go.ca. If you aren’t already doing so, make sure that you follow them on Facebook and Instagram. We’ll definitely be putting this on our list of places to go regularly!